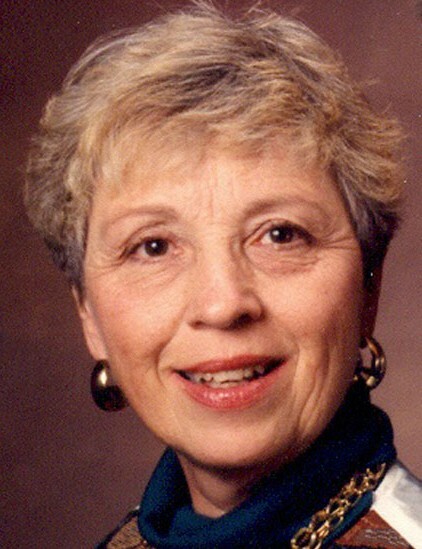 Daryl Olsen, 81, of Sandy, UT beloved daughter, sister, aunt, wife, mom, grandma, super-grandma, and friend passed through the veil January 23, 2019. She was married for nearly 64 years to M Dirk Olsen. She showed her love openly to everyone and was loved by all. Daryl was kind, loving, energetic and popular with a contagious smile. Everyone loved her everywhere she went. She was known as someone that served others first and was valiant in her assignments. She tackled anything that came her way and was a self-proclaimed “Tough Nut.” She rose to the occasion for whatever obstacles she had to overcome in life, and was an example of a strong woman with faith that endured to the end. Daryl was a family gatherer and radiated family unity with her immediate and extended family. Her specialty was remembering birthdays. Her family always looked forward to hearing her and Dirk sing Happy Birthday in their unique special way and receiving a homemade card that usually included a variety of childhood photos and a genuine, heartfelt message. Daryl was a graduate of Granite HS (Class of 1955) and enjoyed her time as a cheerleader. She helped Dirk start and run their business MarbleBoardGames.com. She was proud of her pioneer heritage and held nearly every position in the Church, including serving a mission in the ABC Islands 1994-1996. She loved to attend the temple and was a temple worker. Her favorite church assignments were in the primary and often talked about her time as the chorister. She loved going to the Hale Theater and was an avid Utah Jazz fan. A viewing will be Monday, January 28 from 6-8 PM at Goff Mortuary (8090 S. State, Midvale). Her funeral will be Tuesday, January 29 at noon at the Sandy Utah West Stake Center (8670 S. 220 E., Sandy), with a viewing before the funeral from 10:30-11:30 AM. Interment will be immediately following the funeral services at the Sandy City Cemetery (9000 S. 700 E., Sandy).